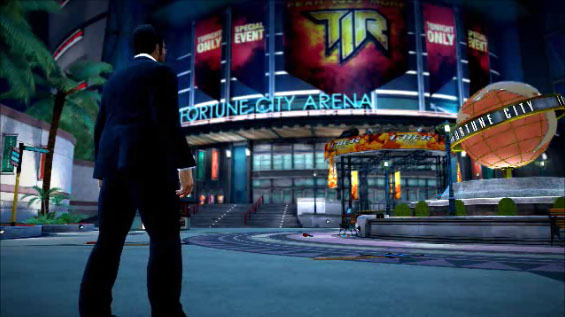 If you wonder what would be different if Frank West was on the Terror is Reality game show and got stuck in Fortune City Nevada when the zombies broke free, here in Dead Rising 2 Off The Record you get to find out. This new interpretation of the Dead Rising 2 storyline with Frank West (the main character from the first Dead Rising) instead of Chuck Greene in a survival horror beat' em up. Once again it is up the Frank West to investigate yet another city that gets taken over with the undead. 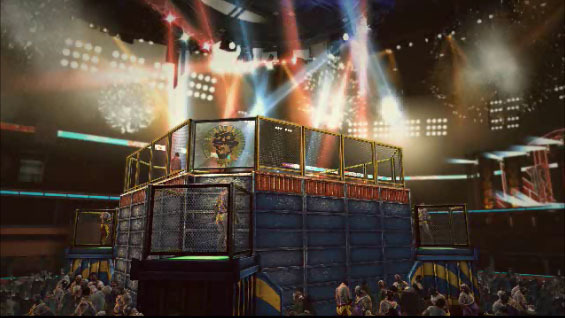 Is the game the same as Dead Rising 2, well yes and no? After uncovering what happen in the town of Willamette, Colorado and bring the people to justice that caused the outbreak Frank West became a very popular and a very wealthy man. Getting paid for appearances, his own talk show and a #1 bestselling book made life easy for him but with the rise of fame comes the crash of reality. Frank is broke and has now lost his popularity and is trying to get back into the spotlight by doing the Terror is Reality game show. After his appearance on the show the zombie’s breakout and Frank has proof that there is a conspiracy and he is trying to get the story out before the clock runs out. So how much of the game is the same and how much is different? First, the layout is almost exactly the same with one big exception. There is a new theme park to explore called The Uranus Zone. There are also new missions, new people to save, new psychopaths, 15 new combo weapons and a different storyline and plot points. The dialog is mostly all different. 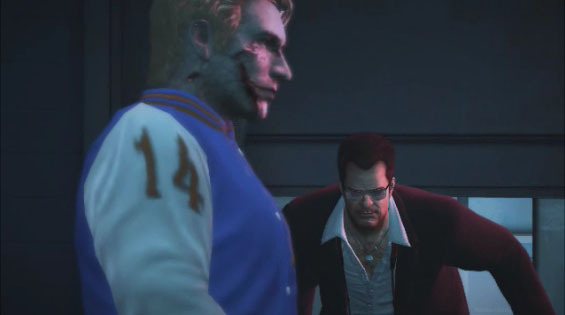 Chuck Greene is more serious and just wants to save his daughter, while Frank West is a middle age frat boy. So the interaction between everybody is different. Most of the other missions from the first game are still here but many of the people you save are in different places. You also have new allies in the conspiracy and new bad guys working against you. You still need to use a dose of Zombrex every 24 hours but it is Frank who needs the shot. You also get the return of the taking pictures and Chuck Greene is playable in a co-op mode. The major difference is the introduction of sandbox mode. Here there is no time limit. You can just wonder around as much as you want. The mode also has dozens and dozens of challenges to do and the best part is that all of the money and leveling up you do in sandbox mode transfer over to story mode. That’s right you could start the story mode at maximum level of 50 making it possible that you could defeat all of the psychopaths, save all of the survivors and get through the entire story your first time through the game. The weapons and magazines don’t transfer over however. You will still have to find them and create the weapons yourself but it is not that hard. Also in sandbox mode random survivors and psychopaths will show up and attack you. So the game is about 50/50. Half of it is the same and half of it is different from Dead Rising 2. The sandbox mode is one of the best things we have seen. Many times in the other Dead Rising games we wanted to just wonder around and find out where things were and now we can without a clock running. Dead Rising is becoming one of our favorite game series with each game getting better and adding cool stuff to the gameplay each time. Replay is high and first time through will take you 25 plus hours if you level up first in sandbox mode (we recommend this) and then play the story. The only real complaint is that the controls are still a bit clunky but it is not too bad. Dead Rising 2 Off the Record new was given a discounted price of $40 and it is worth that.